Please note: All of our menus and wine lists are displayed as PDFs. Get a free PDF reader. View our children's menus for the Level 5 Restaurant and Paul Hamlyn Hall Balconies Restaurant and the Crush Room. Find out more in our News & Features section. Spring ingredients jeté onto Royal Opera House menus for this production of Kenneth MacMillan’s heart-rending ballet. 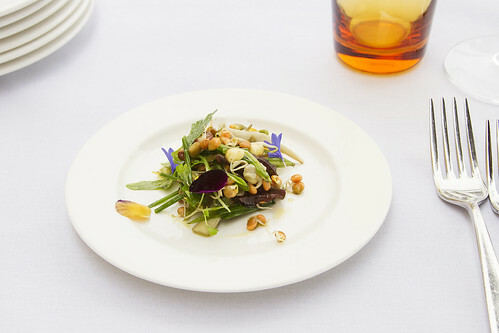 English asparagus, broad beans and peas sparkle in the Paul Hamlyn Hall Champagne Bar, while Balconies has the likes of roast cod with Jersey Royals and sauce vierge, and lamb with Little Gem, Cipollini onions and mint. Can’t resist a pud? Floating islands with pistachio praline makes a memorable finale. To make a reservation go to your Account. Find out more about Romeo and Juliet. Why not pair this stunning Parisian production of Faust with some stunning French cooking? 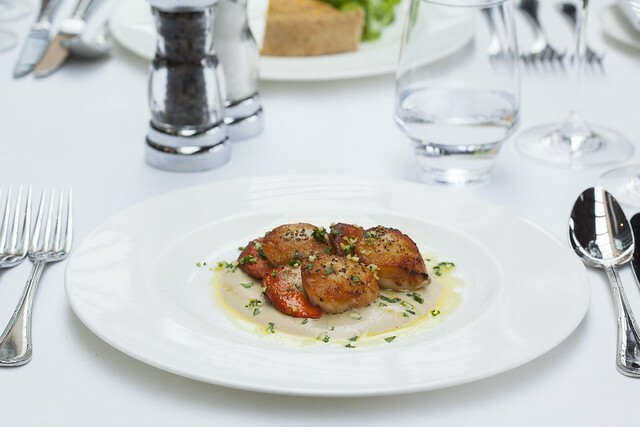 In Balconies, revel in sweetly grilled scallops with artichoke purée, or confit duck with fine beans, frisée, walnuts and foie gras. Prefer the traditional atmosphere of the Crush Room? There you can enjoy octopus with brown shrimps, fennel, olives and saffron dressing, or a chocolate mousse cake with prunes and Armagnac. To make a reservation go to your Account. Find out more about Faust. Our menus for Billy Budd pitch fresh local produce against punchy international flavours. 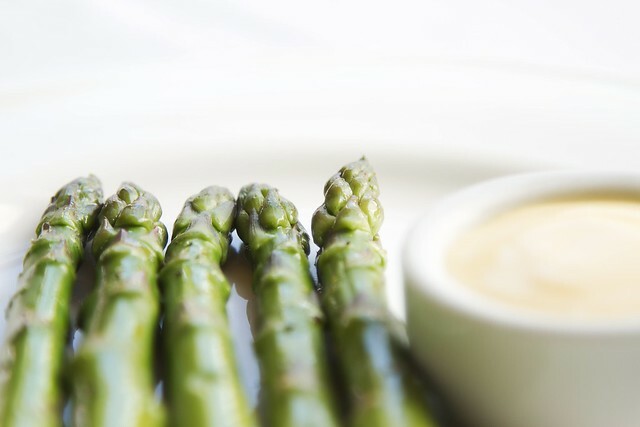 Love English asparagus? In Balconies Restaurant we’re serving it with corn-fed chicken, polenta, olives and basil for an Italian flavour, while in the Champagne Bar, Spain’s romesco sauce will be anointing the juicy spears. Joining us in the Crush Room? 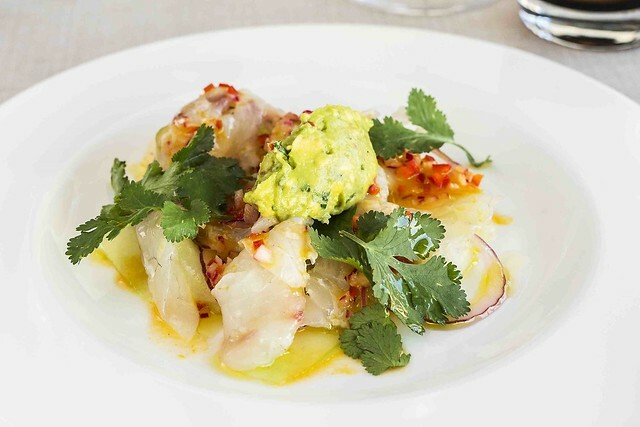 Try stone bass ceviche with chilli, fresh coriander and creamy avocado. To make a reservation go to your Account. Find out more about Billy Budd. Our Restaurant Level 5 is a stylish place to enjoy a summery menu that sings of Italy. Nibble on pea, mint and stracciatella arancini, or marinated taggiasca olives. 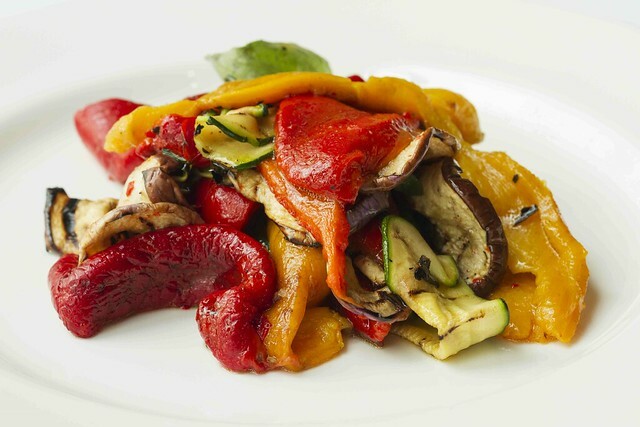 Enjoy silky verdura mista, Sicilian caponata and Piedmontese peppers. For mains there’s a sumptuous antipasto board, grilled fillet of pork, or a light Amalfi lemon and basil risotto with grilled artichoke. And which way will you lean for dessert? Grappa panna cotta, or our dazzling Pecorino Rosso with truffle honey and pane carasau? To make a reservation go to your Account. Find out more about Within the Golden Hour / Medusa / Flight Pattern.